Please note: This resort closed in March 2011 "for an extended period of time" due to the extensive damage done by the tsunami that followed the March 11 earthquake in Japan. As of 2019, the resort hopes to reopen in 2022. Please check the resort website for updates. 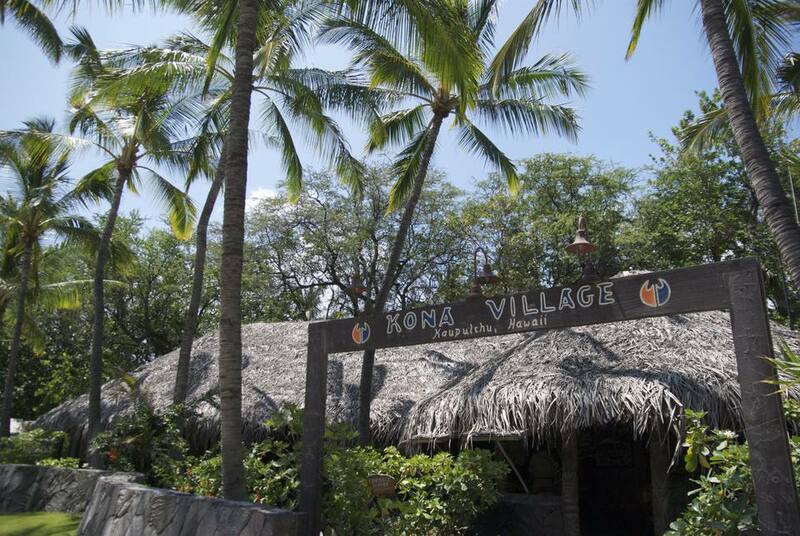 Kona Village is north of the Kona International Airport, on the west side of Hawaii's Big Island. Eight upscale properties dot the 20-mile Kohala Coast. With no phones, TV or even radio, you're in for a true getaway. Guests stay in individual hale (hah-lay) bungalows spread over 82 acres. The two-room bungalows can sleep five. Some visitors prefer the lagoon area, with bird-life nearby. If you need more pampering, many of the oceanfront hale have private whirlpool spas. Teens have complementary programs too: Be sure to sign up, as each program isn't available each day. Sample activities are snorkeling tours, sunfish sailing lessons, and kayaking. Complimentary activities include tennis, and arts and crafts such as shell hunting and lei making, the use of kayaks, boogie boards, surfboards, and snorkel gear. The bay is a marine sanctuary, full of colorful fish. Guests will have a choice of several places for snorkeling. Activities for the whole family might include ukulele classes, ti-leaf hula skirt making, hula lessons, lawn games, or tours to the resort's petroglyph field. Guests 12 and up can try the novel watersport of stand up paddleboarding. Guests pay for an initial learning session and then have unlimited use for the rest of their stay. Activities with a fee include scuba, the use of outrigger canoes, and deep sea fishing. Meanwhile, activities further afield include golf at a nearby resort, horse-riding, helicopter tours, whale-watching, and visiting active volcanoes.